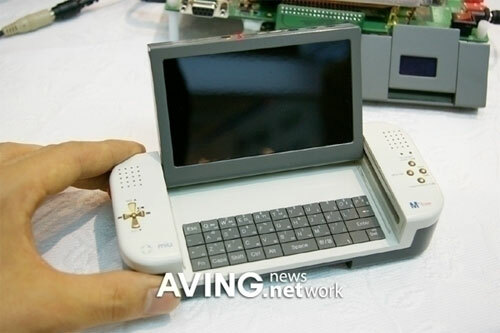 It may be ugly as get out, but Korean firm Miu’s new UMPC seems fairly feature packed. According to AVing, the M*free (whatever) seems a lot like Sony’s mylo, with Wi-Fi, VoIP software pre-loaded and all the rest, as well as some sort of dual-OS setup involving Windows XP. The removable cartridge system that houses the camera, MP3 player etc seems like a nice idea in theory but when something is this unappealing to look at, who cares?